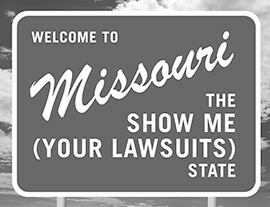 Owned and operated by personal injury lawyers, Missouri Governor Jay Nixon yesterday vetoed two bipartisan tort reform bills that could have helped make civil litigation a little more fair in his notorious Judicial Hellhole. 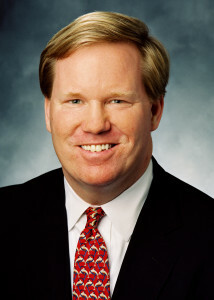 As reported by the National Law Journal, Senate Bill 591 would have modernized Missouri’s “expert testimony” law and brought it into line with all federal courts and 40 other state court systems in which judges act as “gatekeepers” to ensure that juries hear only scientifically sound evidence. But Nixon and the “Show Me Your Lawsuits State” shysters he serves obviously prefer having juries exposed to junk science, making it easier to target corporate defendants with meritless lawsuits. For example, no sound science supported out-of-state plaintiffs’ claims that use of talcum powder had caused their ovarian cancer, but two separate City of St. Louis juries nonetheless issued monster verdicts against Johnson & Johnson earlier this year — one for $72 million and another for $55 million. Such claims had failed previously in other venues. The generosity of Missouri courts and their less demanding standard for scientific evidence continues to make them a favorite for out-of-state plaintiffs. Nixon also vetoed Senate Bill 847 which, according to the Missouri Times, would have logically limited personal injury plaintiffs’ compensation for medical expenses to what was actually paid, not what was originally billed (but later negotiated downward or written off altogether).